Recently, I have been listening a lot to The Radio Dept. 's Teach Me To Forget EP, and have realised that, to me, it feels in many ways like an echo of a record from a quarter century earlier, namely, Momus' Voyager. The similarities are both stylistic and aesthetic; in the tonal palette and the emotional gamut. Both have a coolly electronic feel, built on clean synthesizer sounds and programmed beats; understated and with an undercurrent of disconnection under the lights of the nocturnal city, and what Ralf Hütter once described in an interview as “cold feeling”. One could, if one were to, pinpoint where aspects of the older record reëmerge in the new one: Just So, with its dry synth-bass, quietly spoken vocals and sense of guarded futurity, is a tentative Cibachrome Blue for a more anxious age; You're Not In Love, with its funky bassline and cold, fast electronics, has an echo of Conquistador and perhaps Trans-Siberian Express. And the opening extended mix of Teach Me To Forget, itself reprising the nihilistic obliviousness in Voyager, segues neatly from the closing track of Voyager, the 2½-minute instrumental reprise Momutation 3, into its programmed club beats and minor-key tension, the 25-year gap disappearing in the crossfade. Thematically, of course, the two records come from very different contexts. Voyager is a product of that particular euphoric moment as the eighties segued into the nineties; a confluence of the end of the Cold War and with it, some say, history, the arrival of computer technology in everyday life, and the rise of MDMA-fuelled club culture. Everything was connected, the world was waking up from history and, indeed, from the old certainties of pre-digital, pre-postmodern reality, into the Long Boom, or perhaps the Long Rave. Music could now be made with samplers, just as images could be made with Photoshop and grunged-up typefaces could be drawn on a Macintosh in Fontographer, and it's there that the idea of postmodernity, of all being artifice and simulacra, starts to leak from academic theory into everyday life. (In Japan, a country with which Momus' career was becoming increasingly intertwined, the discontinuity was even more profound, with the break between the Shōwa and Heisei eras in 1989 serving as a proxy for that entire gamut of changes, the one-way bridge between the analogue and digital, the modern and postmodern.) Voyager (the penultimate of Momus' six albums released on the then ascendant Creation label) rides the crest of that wave—the Ecstasy-infused club euphoria, the melting of genres into electronic club music, the MONDO 2000 cyberculture futurism of smart drugs and virtual reality—though not without ripples of unease. 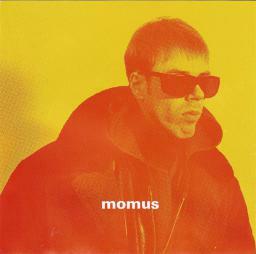 Momus picks out the analogies often cited at the time between this moment and the 1960s “Summer of Love” and posits an “electronic inwardness”; a trip into a vast, luminously pulsating inner space, and in this there is estrangement: We hear the bass talk, it's saying nothing. Love has left the arena and the lost psychonaut attempts to reach out from the gravity well of their trip. Soma Holiday, 1992. Fast forward to 2017, and things are somewhat different. History has very noisily restarted itself, the balance between democracy and capitalism has tipped in favour of the latter and sinister actors have weaponised freedom, stirring unrest and catapulting extremists into power with swarms of social-media sockpuppets, covert ads and algorithmic manipulation (“nothing is true, we move like shadows across the stage”). In the ever-warming political climate (“there are thunderstorms, and the weather's wrong”), the thawing permafrost has released the bacilli of various anti-liberal ideologies long thought extinct, from theocracy to obscurantist arguments for absolute monarchy, to several dozen variants on fascism, including ones mainly concerned with video games and represented by cartoon frogs. In some ways the period from 1989 to 2001 looks increasingly, in retrospect, as a golden age; its buzzing, coolly luminous optimism replaced by a sensation of preapocalyptic anxiety. 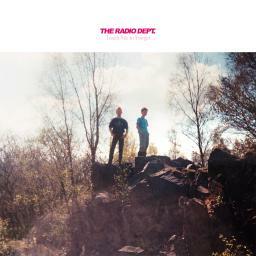 The Radio Dept. were not initially a political band. Starting in the Swedish indie scene of the early 00s, their songs were hazy and ambiguous, both sonically and lyrically, consisting of fuzzy guitars, cheap drum machines and gently wistful melodies, somewhere between The Field Mice and The Jesus and Mary Chain. Somewhere around the 2010s, this started to change gradually; a sample of Thurston Moore ranting about capitalism here, a song titled Death To Fascism there (back when references to fascism sounded like Rik-from-The-Young-Ones-style hyperbole or kitsch), but still the same overall formula. Until their most recent album last year, titled, pointedly, Running Out Of Love. Gone was the haze: in its stead, sharp, cold electronics (they do love the TR-808 cowbell, it seems), sounding more Factory or Mute than Sarah or Creation, and a sniper-like aim at serious issues: the rise of the far right, the arms industry, and, perhaps above all, the comfortably apolitical, the “good people” who do nothing in the face of evil. Of course, being The Radio Dept., this was delivered not as protest-ready bolshie chants but with frosty understatement. Running Out Of Love was a timely return to form, won many accolades (among them, this blog's album of the year title), and spawned three EPs for its singles; the most recent being Teach Me To Forget, the subject of this post. Voyager and Teach Me To Forget could be seen to bookend an era; the decade or so of the Closing-Down Sale of History and the Long Boom/Now, and slightly longer afterwards—before Trump and Brexit and the Sverigedemokraterna and numerous equivalent local phenomena—when people still thought that we may yet return to this, the natural post-historic state of loved-up transnational consumerist utopia; the coming out of the cold into the futurismic cyber-rave, and the cold crashing in with a vengeance, the party having become the Masque of the Red Death in the interim; a reëngagement with a resurgent reality. Come to think of it, a sitcom about slacker/hipster ironist zine kids in the 1990s could probably work. (I imagine there's laugh-track material to be extracted from anachronisms like the characters not having LiveJournals or blogs and relying on photocopied zines to get their thoughts out, having to take film to be developed, and so on; there could also be product-placement opportunities for FedEx/Kinko's or such.) It'd probably end up looking like a more polished version of Clerks or various low-budget American indie films that followed. And yet a larger thought is prompted by a look back to the summer of 1997 through the lens of 2005. Suddenly it seems clearer what the Diana era itself, the 1990s, was all about. It was hard to tell at the time, but now the 1990s have a definition as sharp as the swinging 60s or the greedy 80s. They were the no-worry 90s. For, viewed from today, the 1990s look like a kind of holiday, a pause between two eras of anxiety and conflict. Just as Eric Hobsbawm defined the 19th century as stretching from 1789 to 1914, so we can take the same liberty: the 90s began with the fall of the Soviet Union in 1991 and ended with the fall of the twin towers in 2001. Never mind that both the old and new threats may be exaggerated, the danger felt and feels real. In the post-1945 era, we lived in fear of a third world war and a nuclear winter. In the post-9/11 era, we tremble at the prospect of suicide killers on a double-decker bus. Fear is the constant. After all, what were the preoccupations of the time? In the US, the two largest national dramas of the decade were the OJ Simpson trial and the Monica Lewinsky scandal. One looks at that from today's vantage point with a warped kind of envy: lucky is the society so untroubled that it has nothing graver on its mind than two glorified soap operas. Or maybe so it seems in retrospect. Remember 21C, the glossy, graphically impeccable cyberculture magazine of the 1990s, which followed in the footsteps of MONDO 2000, coming from a combination of the inner suburbs of Sydney and the cyberculture Petri dish of the Bay Area? (Come to think of it, remember the heady, optimistic futurism of early-90s cyberculture, when it was about more than new ways of making a buck and the latest titanium-plated gizmos?) Well, it's back, at least in the online sense. (The glossy, coffee-table-proportioned dead-tree edition may still be some way off.) And they've got articles, such as this one on bootleg remixes, and this slightly pomo celebration of the mythology of pimp culture. ode to the 90s, from a somewhat US-west-coast dot-com angle. but I was back on the redeye.